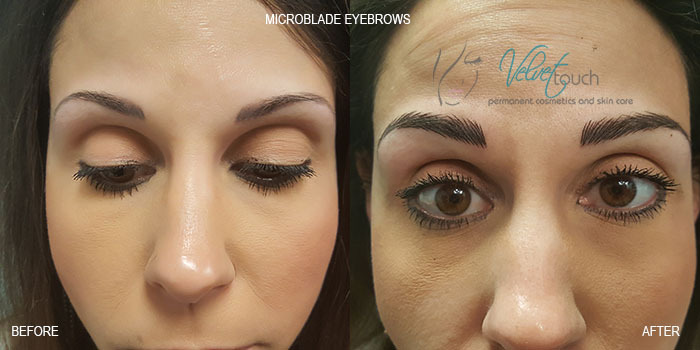 Microblading is a relatively new, manual method of cosmetic tattoo makeup. 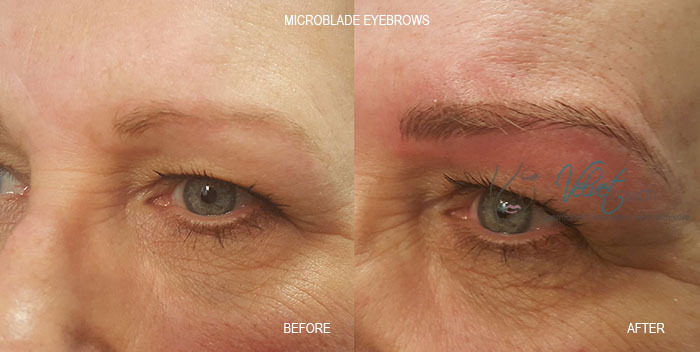 The procedure uses a very fine blade to deposit pigments into the epidermis. Because the color is closer to the surface, the strokes appear crisp and very fine. There is no “spilling” under the skin. 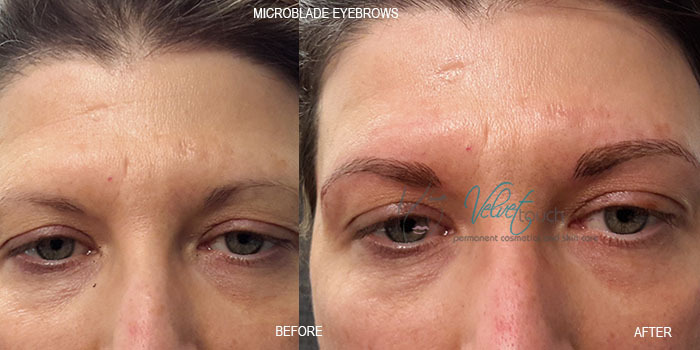 The blade glides with gentle pressure over the skin and causes a fine cut. The cut is as fine as a paper cut and can hardly be distinguished from real hair. 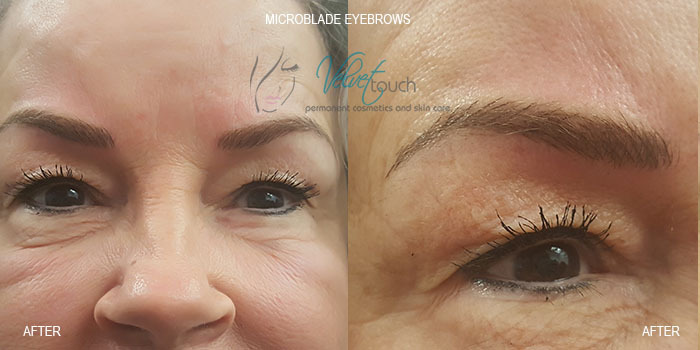 Results last up to 1-2 years with touch ups recommended every 3-6 months to maintain the saturation and a fresh appearance. Because individual results vary, we recommend you call to schedule a consultation. 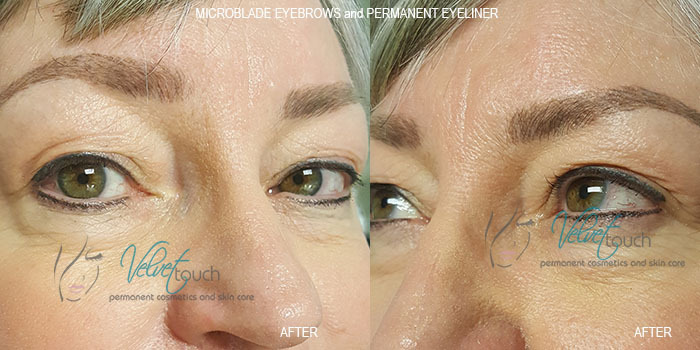 Microblade eyebrows is ideal for anyone wanting to enhance the look of their eyebrows. The results are natural looking, hair-like strokes, regardless of the amount of hair present. 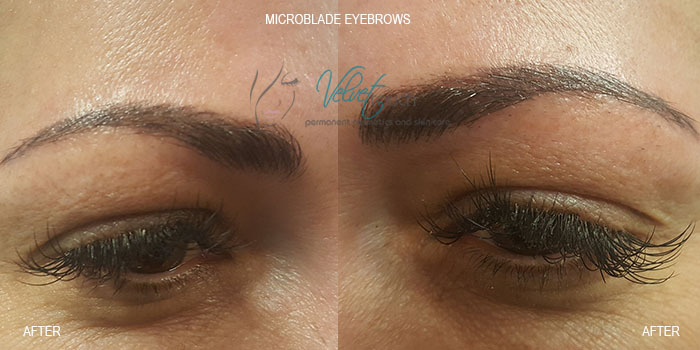 People suffering from alopecia, trigonometrical or any other condition that causes hair loss, benefit greatly from microblading, as well as people who simply aren’t happy with their eyebrows. 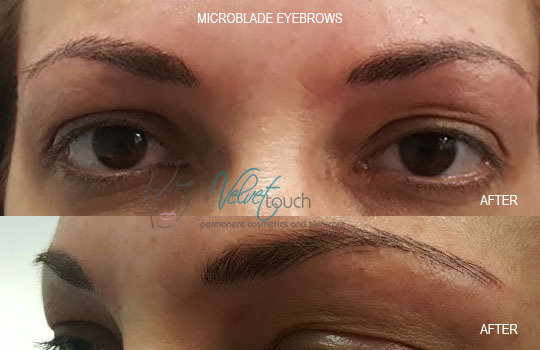 It is not to be ignored that the micro-blading technique can create crisp and more defined strokes. Freshly made, it looks perfect. 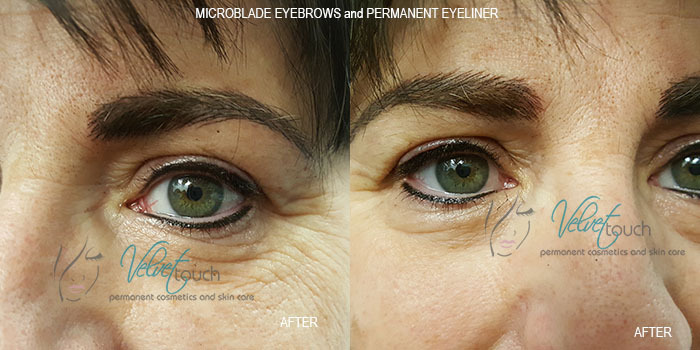 To prevent any disappointment, after a few weeks a touch up is almost unavoidable (for young skin). 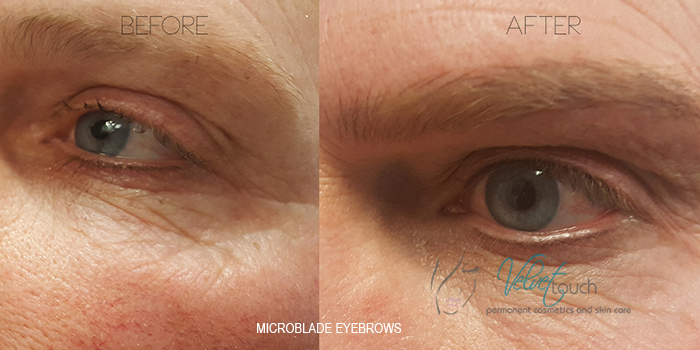 A mature skin takes the pigment better and due to the slow cell division does not lose color as quickly. 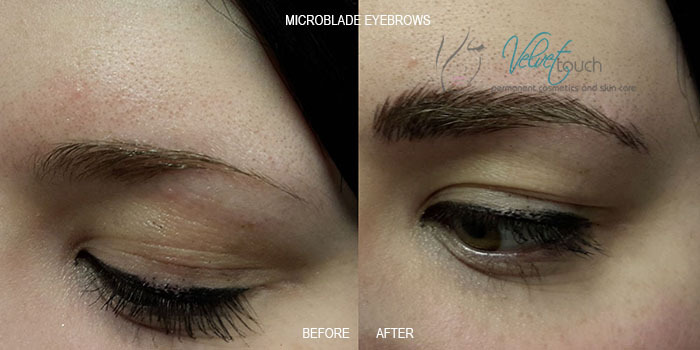 When performing a touch up with micro-blading, the strokes do not smudge or blur as with the machine. The same strokes can be passed over more often, without the strokes appearing too thick which leaves a crisp and defined stroke pattern. Please note – procedures will look dark immediately following your procedure. 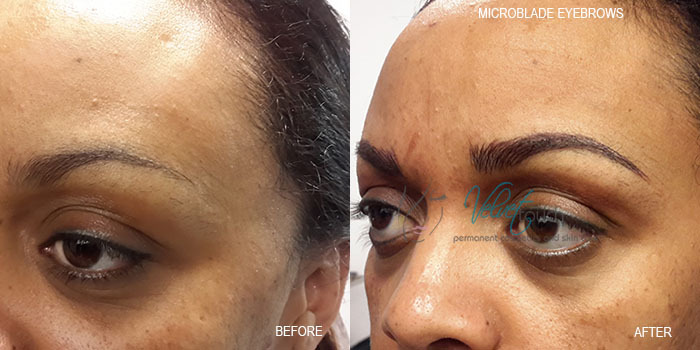 As your procedure heals it will soften to a more natural look. 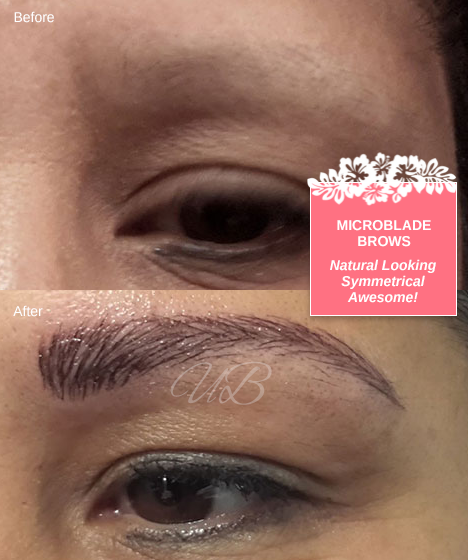 For more information about microblading please give us a call at (469)774-6554. 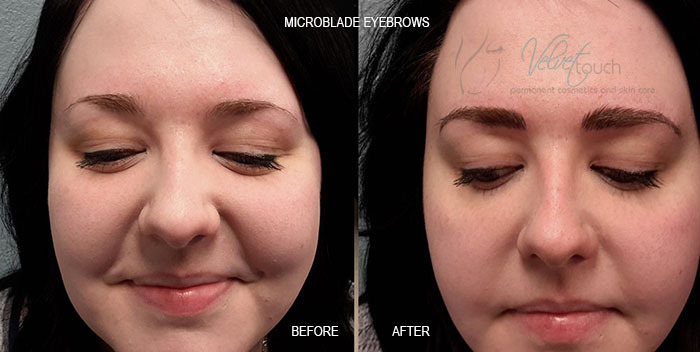 In addition to microblade brows we offer a wide variety of permanent cosmetic makeup and skin care services. For more information about all of our services, please click here to visit our spa website.